Our precision attachment partial cases are still being fabricated in zirconia rather than metal with complete success. 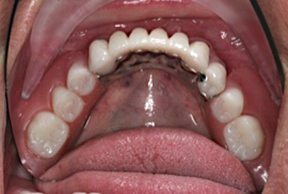 Use a custom tray and capture the soft tissue areas with your master impression for the preps, and most of the time we can fabricate the partial frame with set-up along with the crown & bridge work from the original master model. We are calling this our “All-on-One” technique. It eliminates the need for the pickup impression and saves hours of valuable chair time. We’ve been doing it this way for several years now with nearly 100% success rate. When the case has posterior stops, we actually go all the way to finish on the entire case. Think of all the chair time saved! 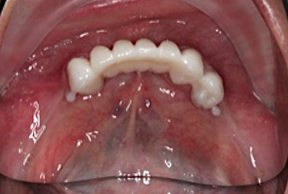 This entry was posted in Custom Dentures, Dental Implants, Removables, Treatment Planning, Uncategorized, Zirconia. Bookmark the permalink.